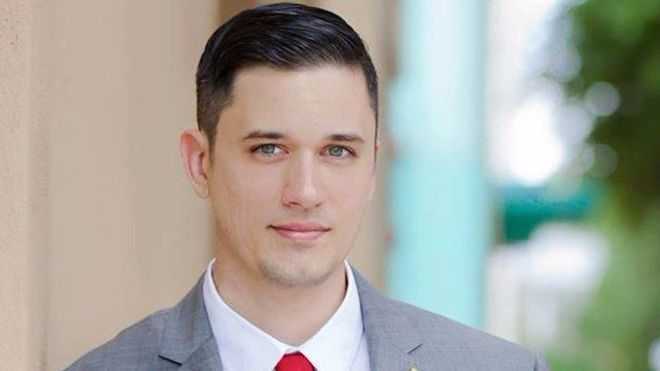 ORLANDO, Fla. — A U.S. Senate candidate in Florida is raising eyebrows after he admitted to sacrificing a goat and drinking its blood two years ago as part of a pagan ritual. Augustus Sol Invictus, 32, is a candidate for Marco Rubio’s seat under the Libertarian Party and also works as an attorney. His moniker means “majestic unconquered sun,” similar to the sun god that was worshiped in the Roman empire in the first few hundred years following Christ’s death and resurrection. However, reports state that he chose the name in following Thelema, a philosophy created by Satanist Alestair Crowley. Invictus’ real name is not known. This week, Invictus admitted to reporters that in 2013, he walked to the Mojave Desert from Orlando and spent a week there fasting. After his return, he killed a goat and drank its blood to give thanks for surviving the journey. The Daily Beast also notes that in a letter he wrote he wrote that year, Invictus renounced his U.S. citizenship, his part in the Roman Catholic Church, his legal license, and all of his physical possessions. He said that he was going to the desert to prepare for a civil war. “I have prophesied for years that I was born for a Great War; that if I did not witness the coming of the Second American Civil War I would begin it myself. Mark well: That day is fast coming upon you. On the New Moon of May, I shall disappear into the Wilderness. I will return bearing Revolution, or I will not return at all,” Invictus wrote. The Senate candidate told reporters that he doesn’t “go on [his] lunch break and start hacking chickens to death,” but is an avowed pagan. If elected, he said that he wants to tackle issues such as immigration, the federal budget and U.S. intervention in foreign countries. Libertarian Party Chairman Adrian Wyllie resigned last Thursday due to disagreements with Invictus’ candidacy. Invictus has remarked that Wyllie’s vocal opposition has been just to “smear” his campaign.